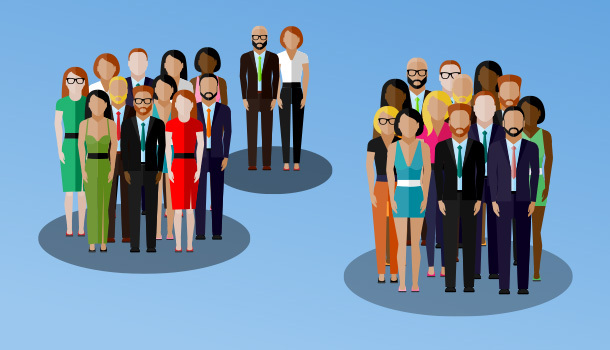 What is marketing segmentation and why is it so crucial to marketing success? This blog post examines the primary methods of segmentation and the reasoning behind the methodology. The common mistake made by most marketers is that most use marketing segmentation as an average of all data. This then leads the organization to communicate and market to the masses on average, when in fact there isn’t an average customer, there are only groups of customers with commonalities. Segmentation of customers into groups leads us to understand that differences exist in why people buy from and organization even when it is the same product line. When segmentation is properly applied to groups of customers within an organization, the organization begins to appreciate diversity and then can strategically begin to market to such groups. All customers are not created equal. Many organizations experience a large percentage of revenue from a small percentage of their customers. Knowing such information allows all organizations to concentrate its attention and maximize its return. Why do businesses and their marketing agencies segment? In order to orient your organization correctly to the market, marketing segmentation is a must. More importantly there exists a conflict in every organization between leadership that demands revenue, wants to sell anything to anyone, maximize profit and the marketing agency that recognizes that the consumer buys based upon their relationship, connection or emotional need. This balance between profit and the variances within customer groups makes marketing segmentation a daily function of successful organizations. Segmentation of the market is the first action in any organization’s marketing strategy. 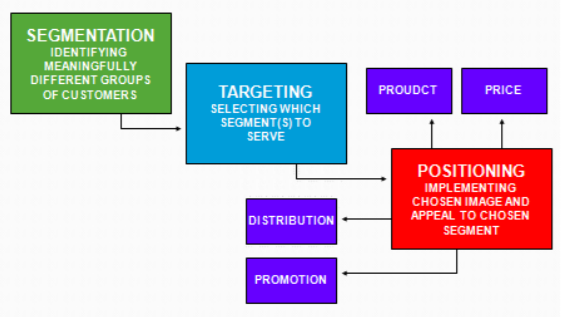 Marketing segmentation is then followed by targeting and then positioning of the brand into a niche. Is marketing about the product or the customer need? Proper market orientation compels the company to focus on the needs of the customer rather than from the perspective of the products and services they want to sell to the consumer. Marketing to the customer need is not just about sending information that explains the product or service. It is also much more sophisticated than just designing an avatar. The marketing avatar is a great start, but that customer does not actually exist, it is a hypothetical customer that needs to be killed in organizations. True marketing involves market research and interviewing actual customers. Hypothetical customers, or marketing avatars, are wonderful to build plans around and they make the business feel good about itself. The avatar always wants what you offer, they never complain, they do exactly what you want and they never surprise you. Organizations that first design an avatar and then correctly focus on the real customer that they attract are those who learn how to do true research and gain an awakening into the needs of their true customer. However, this is when the organization discovers the complexity of their true customer and begins to believe in the fallacy that research and customer interviews are not worth their time. When in fact the complexity always existed and was always there and will never leave unless it is methodically brought into the fold of the operation in the form of marketing segmentation, marketing research and marketing orientation. Research reveals complexity and research reveals the customer needs from their perspective. How do we manage the complexity of what is our customer? We do so through segmentation. Segmentation allows the organization to manage and move the market. A great example is the automotive industry. Almost all automotive manufacturers have brand variances of the same vehicle that appeals to different income brackets, varying style differences for certain gender tastes and features that appeal to those with unique behaviors in how they use their vehicle. What are the various types of marketing segmentation? By segmenting our market, our customers and our offerings we begin to develop sections of customers that have commonalities. This combination of demographics, Firmographics, psychographic and behavioural segmentation enables the organization to truly understand the needs of its customers and why they need certain products or services. This is an art! By cutting our customers into segmented groups we find similarities and we begin to learn how to communicate with those groups. Marketing segmentation is the key to marketing strategy. Marketing strategy is impossible without correctly segmenting your customers. Market segmentation is about the market and is not about the firm. Market segmentation is also not to be confused with target marketing. Target marketing is the tactic employed once market segmentation is done correctly. Target marketing will fail or at least underperform if segmentation is completed incorrectly. Segment then Target and then Differentiate! 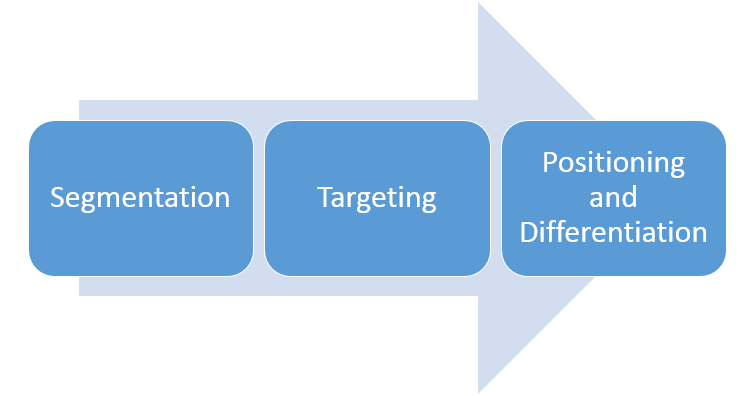 How do you apply marketing segmentation to target marketing? First let’s make sure we have an understanding about the various segmented groups derived from the segmentation methods. You know you have your market properly segmented when you have groups of customers that fall into specific clusters within all four of the types of marketing segmentation methods. Example: 45 -55 year old women living in northern Virginia [Demographic], they work for the government [Firmographic], they have heavy interests in everything digital or online [Psychographic] and they tend to buy with a credit card at retail stores after shopping online [Behavioral]. A list of all the variables. A way to measure or rate each variable or meaningful action. Method to gather cumulative ratings of actions and behavior. A name for each segmented customer group. An educated estimate of the number of prospective customers in each group. A refined value attributed to each segmented group in terms of revenue. Estimated current market share and goal for your market share X years from now. Once the organization has gathered all this data it now needs to discuss and understand that each segmented audience group has influence over the other and each group has some degree of overflow into another. Understanding this relationship is important to your overall target marketing. Now that the organization understands the dynamics of the segmented groups and how they relate and influence each other it can better engage with them and evaluate the true size of the market they wish to gain customers from. How do you know if your marketing segmentation is good enough and accurate? The organization’s marketing department and leadership needs to honestly answer some questions. Did we include the entire market with every type of potential customer (remember we are not targeting yet)? Do I have customers in more than one segmented group? If so go back to square one because the segmentation will fail. Are the segmented groups well defined as per definition? Are the names of the segmented groups based upon behavior? that is important because customer service teams and sales people will remember names tied to behavior. Are the segmented groups sized and value correctly? LAstly and most importantly, when the marketing team shows the sales team the marketing segmentation groups and names, what is there reaction? Can your sales team pull names off the top of their head that identify with each group? Ultimately marketing segmentation gives the organization a true vision of the market as a whole. Segments should speak to you as to who to target so an organization can now make quality decisions when they expend assets to acquire and hang on to customers. Remember this is not about the organization, this is about your customer. If you do this correctly, and your competitor is as smart as your organization – their targeting will look much like yours. This then is when you must differentiate yourself. Segment then Target and then Differentiate!